Affordably priced, Longman Cultural Editions present classic works in provocative and illuminating contexts-cultural, critical, and literary. Each Longman Cultural Edition consists of the complete text of a key literary work, supplemented by helpful annotations and followed by contextual materials that reveal the conversations and controversies of its historical moment. Book jacket. lasting appeal. 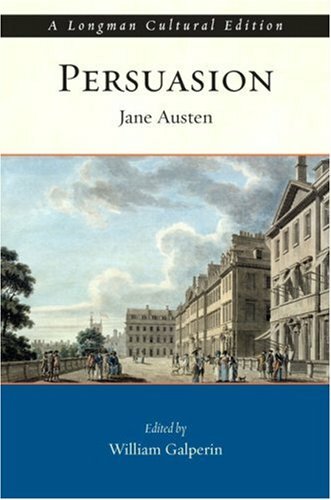 She is at her best in such books as Pride and Prejudice (1813), Mansfield Park (1814), and Emma (1816), in which she examines and often ridicules the behavior of small groups of middle-class characters. Austen relies heavily on conversations among her characters to reveal their personalities, and at times her novels read almost like plays. Several of them have, in fact, been made into films. Henry Austen's "Biographical Notice of the Author"